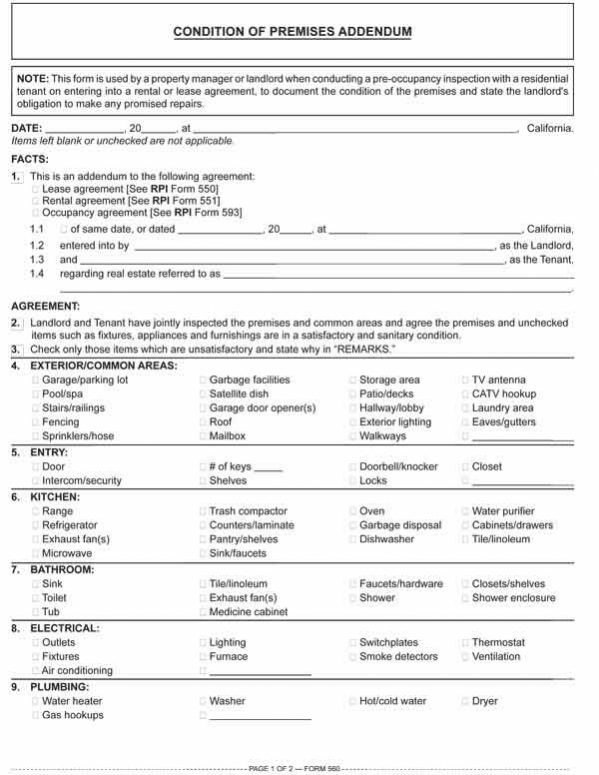 This form is used by a property manager or landlord when conducting a pre-occupancy inspection with a residential tenant on entering into a rental or lease agreement, to document the condition of the premises and state the landlord’s obligation to make any promised repairs. Within 30 days before the end of a residential tenancy, the Condition of Premises Addendum is reviewed during the pre-expiration inspection to help establish tenant responsibility for excess wear and tear to the unit rented. Form navigation page published 09-2016.